Interview by Elizabeth Palmero with Ian Greenleigh, author of The Social Media Side Door. Want Marissa Mayer to notice you? You’d be better off sending her a tweet than emailing her your resume. The Yahoo CEO has said that the company receives 12,000 resumes a week, making it unlikely that yours will ever cross her desk. On the other hand, just last week, 11 of Mayer’s Twitter followers pledged that they’d make Yahoo their homepage if the elusive CEO acknowledged them. Mayer personally retweeted every one of their requests within the hour. You do the math. 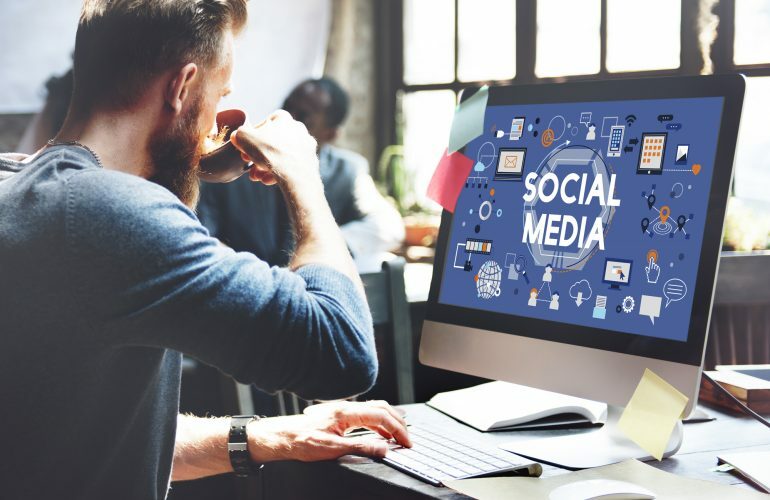 Sites like Twitter  as well as LinkedIn, Facebook and personal blogs  serve as gateways to even the most hard-to-reach figures. These gateways or “side doors” are leveling the playing field for accessing key players in every industry. Need more proof? 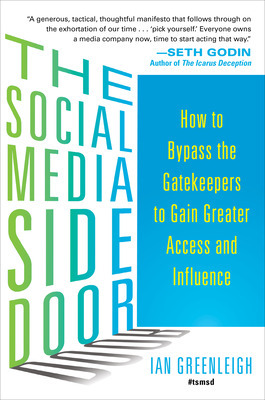 Take Ian Greenleigh, senior manager of content and social strategy, at Bazaarvoice and author of the new book “The Social Media Side Door: How to Bypass the Gatekeepers to Greater Access and Influence”. But in 2010, Greenleigh wasn’t a manager or an author; he was just another guy looking for a job in marketing, with no experience in the industry and a less-than-impressive resume. Leveraging his social media savvy, Greenleigh took out a Facebook ad targeting marketing managers in Austin, Texas. “I’m looking for a job in new media,” the ad read, “Can you help?” Three weeks  and $200  later, Greenleigh had his dream job with Bazaarvoice, one of the most competitive firms in the software as a service (SaaS) industry. Since Greenleigh’s Facebook job search, he’s become an expert at breaking down the barriers that surround influential people. In an email interview with BusinessNewsDaily, Greenleigh explains how professionals can further their careers by walking through the side door. Finding a job with Facebook ads is one example of how to open social media side doors. What are some other examples of how entrepreneurs or small businesses might use side doors to access or influence potential clients, consumers or investors? Ian Greenleigh: Social media side doors are often hidden in plain sight. For example, if you’re hitting a dead end reaching decision makers for a potentially big account, see if they hang out on Twitter and start engaging with them bit by bit. If they have corporate blogs, leave relevant, intelligent comments. If they maintain personal blogs, even better  you know they’ll notice then. BND: Who are the gatekeepers? I.G. : Anyone or anything that regulates access to people or power is a gatekeeper. Human gatekeepers come in all forms, but are commonly executive assistants, recruiters and HR professionals, publicists and agents, and anyone else tasked with reducing access to someone else. I made sure to point out in my book that gatekeepers aren’t trying to ruin your day. They have an important job to do, and it’s probably pretty thankless. But ultimately we need gatekeepers, or else important things won’t get done. When I first got into the corporate world, someone told me that the second most powerful person in any given company doesn’t have a fancy title or a corner office. It’s the CEO’s executive assistant, so make sure to be kind to him or her. That’s still true, and social media can help you get to know  and sometimes win over  the gatekeepers. BND: You also talk about digital doormen. Are gatekeepers and digital doormen one in the same? I.G. : Yes, except that digital doormen sometimes don’t even know they’re your only access point, and they’re usually not trying to keep you out. They just happen to have access to someone you’re trying to reach, and can put you on that person’s radar. BND: Is it all about the number of social media followers someone has, or is there more to it than that? I.G. : No, far from it. Access is meaningless without influence. It’s like being able to talk to someone that doesn’t speak your language and never will  that interaction will yield nothing. Follower counts are really just proxies or clues, but they never tell the whole story. I know people that have many tens of thousands of followers, but still struggle to find work in their field. I know people that have small social networks, but are considered extremely influential. BND: Your Twitter handle is @be3d. What does it mean to be “three-dimensional” in the world of social media? I.G. : People sometimes feel they need to play a part when using social media, and I totally understand the impulse. I also agree it makes sense to tailor your use of a network to its particular “culture,” like engaging more professionally on LinkedIn because it’s “the business network.” But I think these lines are extremely fluid and flexible. Ultimately, people like doing business with and hiring people they genuinely like. And if your social media presence doesn’t convey a true sense of who you are, you’re really just cheating yourself out of meaningful relationships. So “three-dimensional” means the complete package, not a cardboard cutout of who you want others to think you are. BND: Is there a social media side door you’re trying to unlock right now? Can you tell us about it? I.G. : Yes, actually, I’ve been looking for social media side doors to speaking opportunities. I’ve set up ongoing Twitter searches for people tweeting combinations of words like “looking for speakers,” “call for speakers,” etc. It’s amazing how often I find something worth looking into. Generally, whoever tweets it is a person I need to influence to get selected, so I’ll try to start a conversation and learn more. It’s going really well. Originally published on Business News Daily. To read the original article click here. Ian Greenleigh is a social media and content strategist. He helps companies turn data, ideas, and relationships into true thought leadership. He has been featured in Harvard Business Review, Ad Age, Adweek, Digiday, Ragan, Seth Godin’s The Domino Project, and elsewhere. He writes and speaks on a wide range of topics, including changing consumer-brand relationships, the convergence of personal identities, and the radically shifting landscapes of access and influence. Ian Greenleigh is a social media and content strategist. He helps companies turn data, ideas, and relationships into true thought leadership. He has been featured in Harvard Business Review, Ad Age, Adweek, Digiday, Ragan, Seth Godin's The Domino Project, and elsewhere. He writes and speaks on a wide range of topics, including changing consumer-brand relationships, the convergence of personal identities, and the radically shifting landscapes of access and influence.